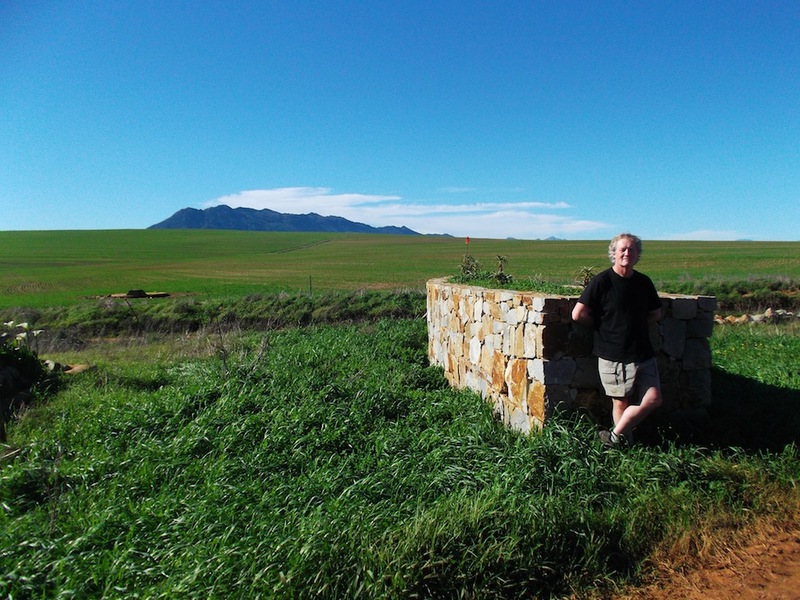 Billy Hughes owns Kasteelsig, a vineyard he has farmed organically for a number of years. His 2013 Nativo White Blend was the first white to be certified as organic, and his red of that vintage, when he gets to selling it will be his first certified organic red. Meantime, we have the excellent Nativo Red Blend 2009 with its pretty origami-like label – and this wine just begs to go with this dish. Elegant bottle with a white label which looks like a piece of origami. In the glass it is deeply coloured ruby at the core that pales to garnet at the edges. A generosity of berries and plums. Undertow of oak. Full flavours of dark berries and bloodplums and spicy well-applied oak. Well-balanced, good breadth of palate and a lingering aftertaste. 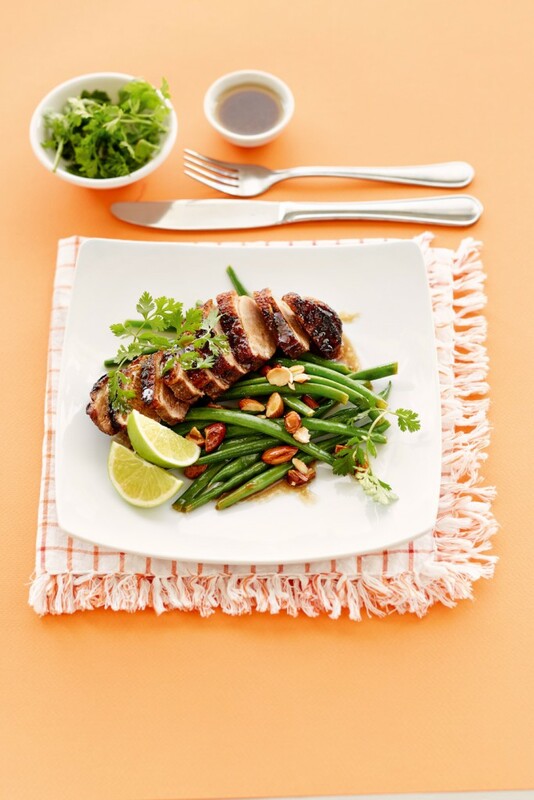 Sarah Graham’s Quick Honey Citrus Duck with French Beans and Toasted Almonds. 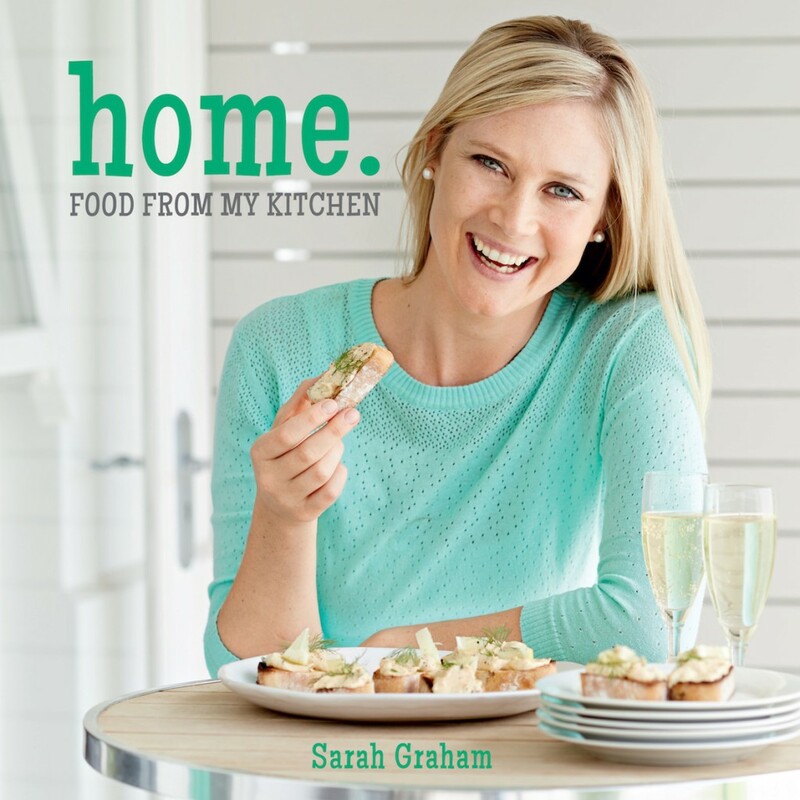 I must declare an interest here, I just love Sarah Graham. I love her work, her books and her TV series. And we have had a lot of fun cooking together. She is starting to shoot a new TV series this week. The third of her books has just been released, Home, Food from my Kitchen. Like her first two, Bitten and Smitten the books are published by Struik Lifestyle, with really wonderful photography by Warren Heath. That’s three books in three years. Rob and I were lucky enough to eat duck in Paris when we were there on honeymoon. In fact, there was a particular restaurant with a particularly delicious citrusy duck dish that we went back to three times in two days. This is a little nod to that, and I hope you like it. Stir all the syrup ingredients together in a bowl. Leave the duck breasts in the pan or transfer to an ovenproof baking dish, add the citrus syrup and roast for a further 5–8 minutes in the oven, or until the juices run clear. Remove and allow to rest for 5 minutes. Cook the beans in salted boiling water for 1–2 minutes, drain, drizzle with the olive oil and lemon juice and scatter over the chopped almonds. Also works with duck legs, though the roasting time may vary by 5–10 minutes. You could also serve this with crispy roast potatoes or cauliflower mash (see page 101 in Home).